Life can be sweet or bitter depending on the way you get up in the morning. You can get out and do something good or you can be cold. Do not let others get in your way and make you stray from your path. 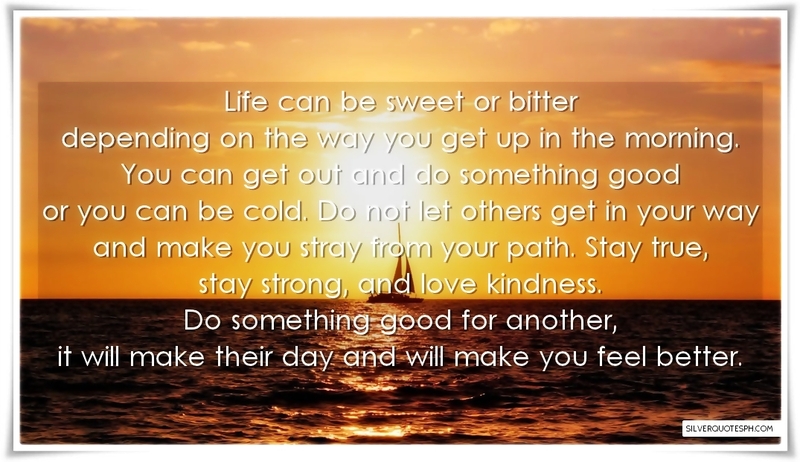 Stay true, stay strong, and love kindness. Do something good for another, it will make their day and will make you feel better.